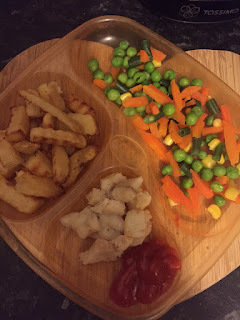 I am starting a new series on my blog showing what my toddlers eats. I will pick random days once a month and just post what he eats on that day. Sonny is now 19 months old. This was his meals for Saturday 21st January. He also has two snacks throughout the day one in the morning and one in the afternoon. He loves his apples at the moment and of course white chocolate buttons as a treat. He drinks orange or blackcurrant squash throughout the day. He isnt keen on water so thats why we give him squash. Before bed he has 8oz of growing up milk. 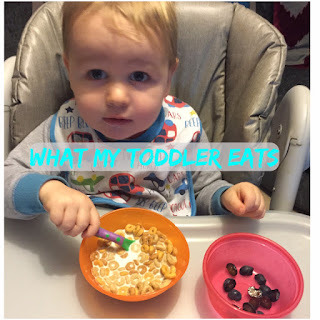 What does your toddler eat in a day? 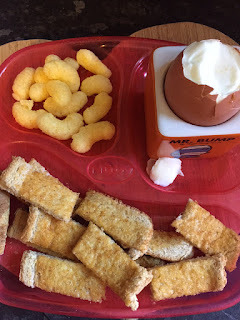 I am always looking for new ideas for meals.